The new JOOLA Tour Case with 18 top of the line 3 Star JOOLA Table Tennis Balls provides every Table Tennis player with the essential tool for effectively carrying and storing their equipment. The durable foam lined protective case preserves a total of 18 balls and 2 of your favorite rackets with maximized coverage. 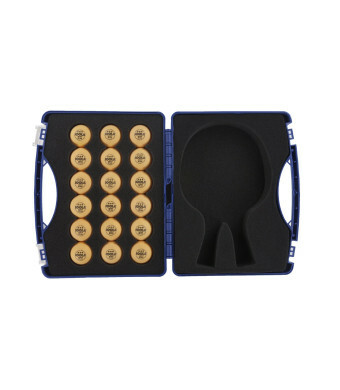 The Easy Open Double Snap Lock System allows you to securely close the case keeping the contents clean, dry and safe. 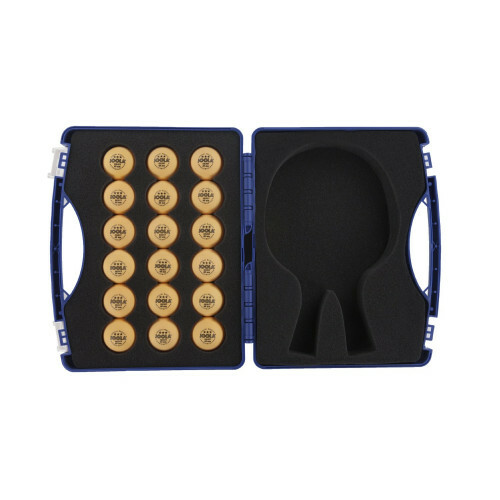 Included with the JOOLA Tour Case you have high quality JOOLA 3-Star Table Tennis Balls that are specifically designed for a consistent bounce, superior spin, long volley and extended ball play. With 18 balls, all of your friends can experience the best of the best and you will always be able to tell your balls apart with the unique set of 9 orange and 9 white balls. After a long day of training you can rely on the durable foam lined construction of our JOOLA Tour Case to ensure ultimate protection of all of your top line table tennis rackets and balls.